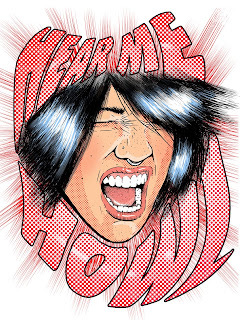 Hear Me Howl kicked off Plymouth Fringe Festival this week at the Barbican Theatre. Written by Lydia Rynne, Directed by Kay Michael and produced by Caley Powell of Lights Down Productions. 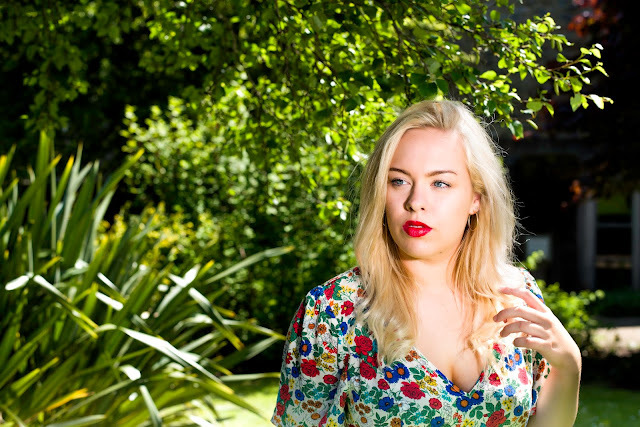 Jess (performed by Alice Pitt- Carter) is on the brink of turning 30 and is launched into a world of the unknown. She tells her story from behind a shiny drum kit, before her first ever gig of her brand new band which she joins as a way of putting her intimidating adult life on hold. Jess' "late coming of age story" blossoms from an unbelievably average office day job (where the next order of paper clips is the top of her to-do list) to strong, feminist- protesting rockstar by the end. The continuous monologue explains the blips of turning 30; the realistic and emotional complexities that aren't particularly well advertised among theatre - the topics, though moving, were refreshing to see discussed on stage. 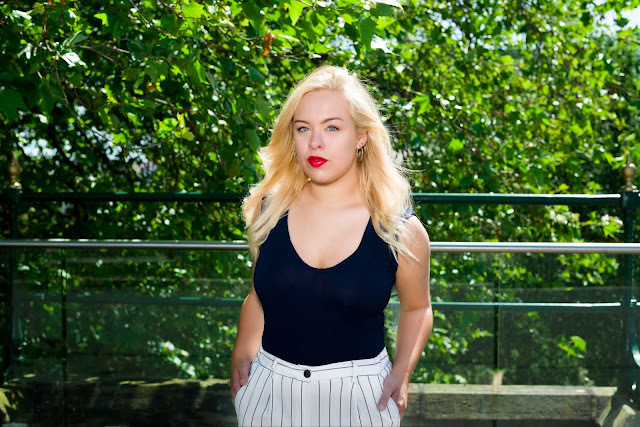 Jess is a fierce millennial who shows great feminist qualities. She's witty, charming and relatable - all the attributes to ensure that the audience are rooting for her throughout the show. Alice Pitt- Carter portrays her with a fantastic, infectious energy. She handles the vivacious to emotional tone changes well, making it totally believable. The show is simple. 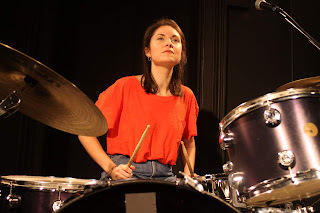 Just the actress sat behind a drum kit, house lights up and a continuous monologue of thoughts. The writing is funny, real and beautifully put. It's also Pitt- Carter's ability to hold the audience with Rynne's wonderful words that captivates so effortlessly. 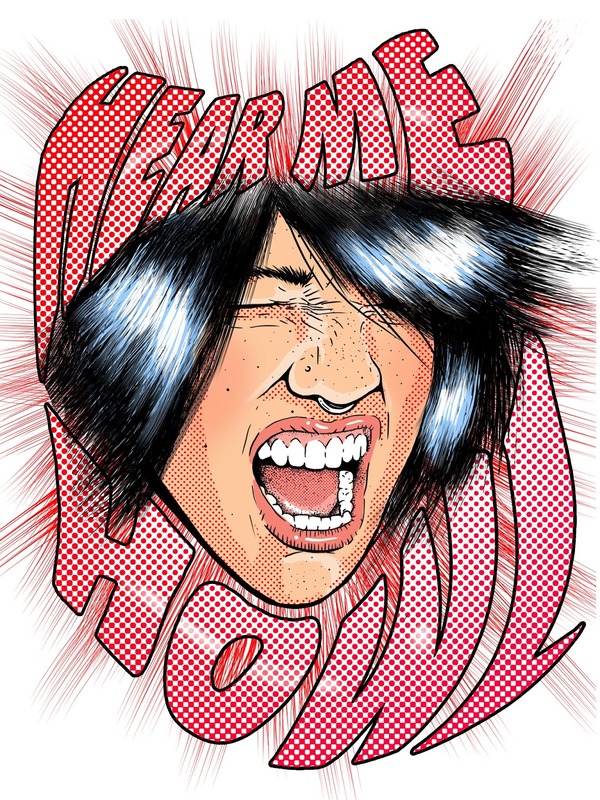 Fringe theatre is a great pick 'n' mix and I'm so glad that I managed to catch Hear Me Howl. It feels like a really special piece of theatre that should be seen by many. It celebrates how bloody awesome women are, whatever path they choose to take. I'm looking forward to seeing what this show does next. 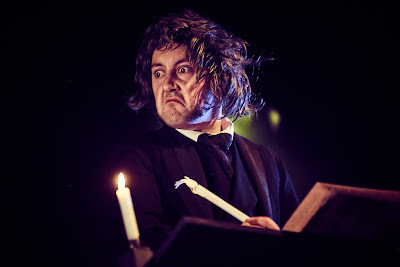 The Barbican Theatre invited me along to the press night of their new Christmas show, A Christmas Carol by Le Navet Bete last week and I enjoyed every minute. Le Navet Bete are a comedy theatre group from Exeter and following their sell- out performances in Plymouth, including The Jungle Book, Robin Hood and The Wizard of Oz, they have launched their seventh Christmas show: A Christmas Carol. This year, the show is performed at Plymouth’s much loved but recently abandoned Athenaeum theatre in central Plymouth. I remember adoring this theatre as a child, as I used to watch my little sister perform her ballet shows on stage. Years later, the theatre was mothballed and has been dark since 2009 – that’s since Le Navet Bete bought it back to life with their 10-performance run of Le Navet Bete’s Dracula: The Bloody Truth earlier this year. The Athenaeum is a wonderful theatre venue and I am ecstatic that it is being bought to life in Plymouth again. I really do hope this continues with more wonderful shows. A Christmas Carol is a co- production between Le Navet Bete and The Barbican Theatre – of whom I am already a major fan of. It’s my first experience of Le Navet Bete, but from the Barbican’s fantastic repertoire of theatre collaborations and word-of-mouth around Plymouth, I was expecting wonderful things. Jacob Marley was hilariously hairy... the Ghost of Christmas Past dons a white all-in-one suit and a extremely amusing high-pitched voice. The Ghost of Christmas Present hops around on bouncy stilts and the Ghost of Christmas future embodies a huge, spider- like creature which takes up much of the stage. The new imaginations of the traditional characters are hilarious and completely innovative. The beginning of the show starts with a bang and is followed by a narrative to introduce the story. 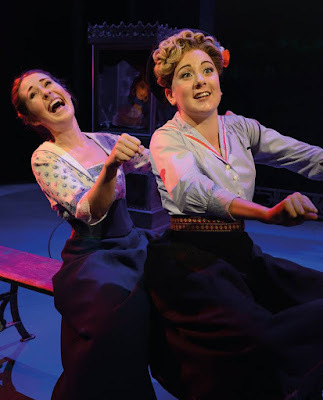 Although I was initially somewhat sceptic about the use of comedy as I’m not a fan of silly, slapstick, panto-esque humour – I was thoroughly surprised and enjoyed the comedy immensely. It is full of clever wit and genuinely hilarious puns. It took me a little while to warm to but I was very soon laughing out loud in my seat. There are elements of pantomime in the show as a nod to the festive season with fun audience participation and interaction but it is still very true to the traditional theatrical piece. 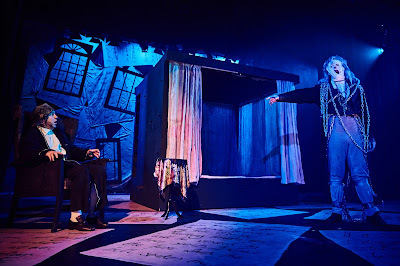 The set is wonderful and fantastically utilised the larger Athenaeum stage – I particularly enjoyed the two-layered set piece that portrayed Scrooge’s office which he shared with Bob Cratchit. There were some great and dynamic pieces which, although seemingly simple, created a whole festive world on stage. The costumes were just as impressive – my favourite being the Ghost of Christmas Future. I was in awe when it entered the stage; The Barbican Theatre are great at creating beautiful products of simple ingredients. This costume consisted of just four stilts and black fabric but created a threatening yet magical creature which was a stand- out in the show. Overall, I thoroughly enjoyed this show. It’s a refreshing take on a festive classic – Le Navet Bete have created something so creative, cheerful and Christmas-ey! It’s a great alternative to a traditional pantomime this year and I absolutely urge Plymouth families to go along to check it out. Let’s keep staging fantastic shows in this fantastic old Plymouth venue! Thanks to the Barbican Theatre and Le Navet Bete for inviting me along! I love what the Barbican Theatre is all about- it promotes high quality, accessible work while supporting and developing local talent. This is something that is vital for the South West as we are somewhat disconnected from the rest of the country and industry so making sure that arts and culture can thrive within this hub is very special. 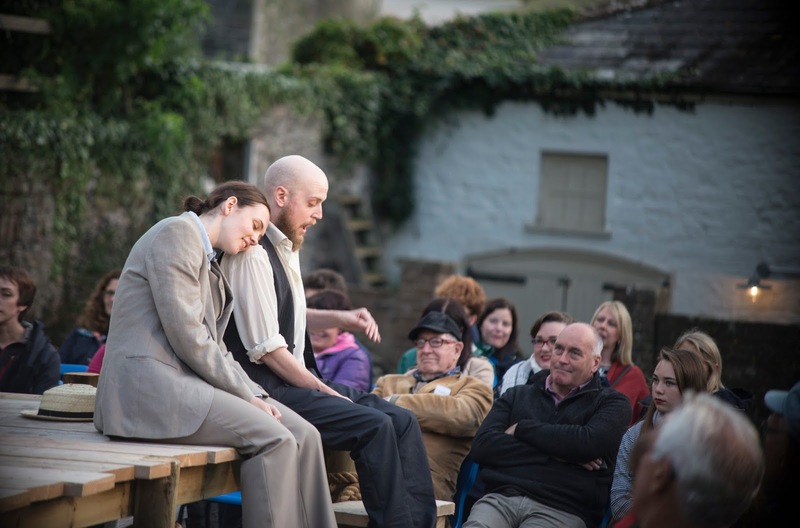 Over the past three years, Barbican Theatre have created the popular 'Bard In The Yard' series which sees professional Shakespeare productions staged in Plymouth's most beautiful and historical seaside setting, the Royal William Yard. 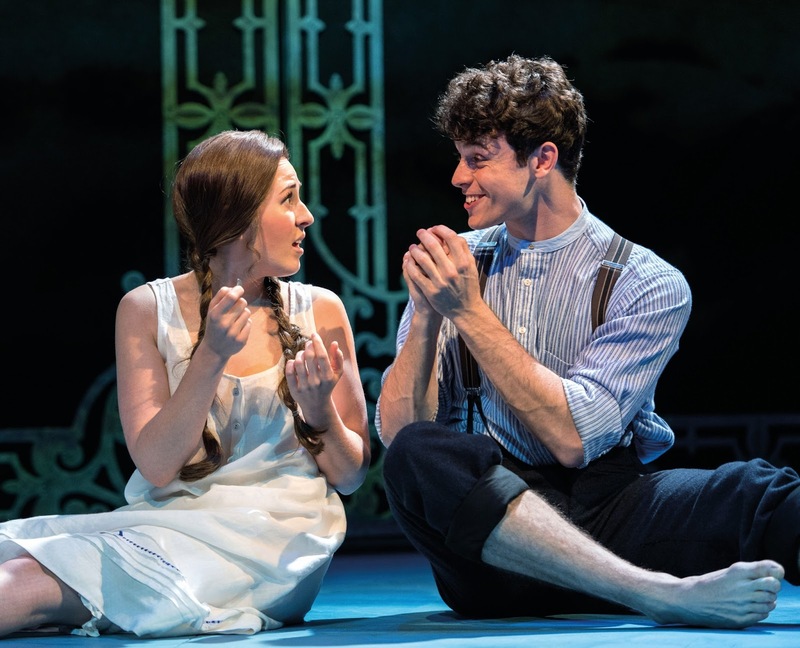 In 2015 they staged 'A Midsummer Night's Dream' and last year showed the immensely popular 'Romeo and Juliet'. This year's production is Shakespeare's chaotic comedy 'Twelfth Night'. Jon Nash directs this production, with Ryan Wilce assisting, Kate Rogers as Musical Director, Jules Laville as choreographer and produced by Mark Laville. 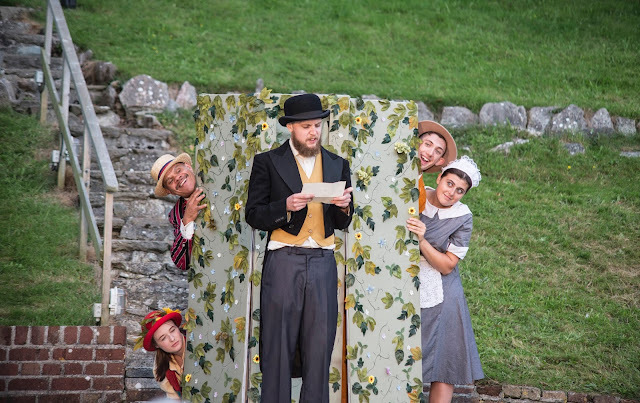 They explain that Twelfth Night is about "parting, identity, cross- dressing and the search for true love.". It follows a disorderly tale of identical twins who get lost from each other after a disastrous shipwreck. To survive "she" pretends to be a "he" and "he" ends up caught in a mad tangle of love. Alongside this, there are hilariously menacing plots made, resulting in all but some bright yellow stockings...! The cast is made up of eight local professional actors, all of whom take on multiple roles in the show. 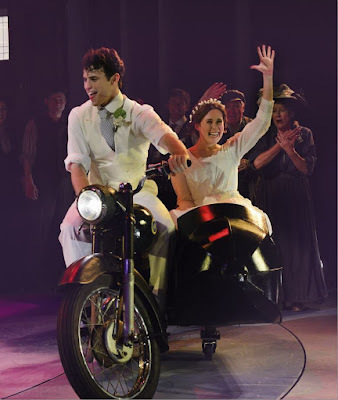 For some, this could come across as confusing but the use of costume changes as well as the slick performances from each actor portrayed every personality differently and therefore made it seamless for the audience to follow. Comedy was the main element of the show; the use of wit and physical comedy had the whole audience giggling. 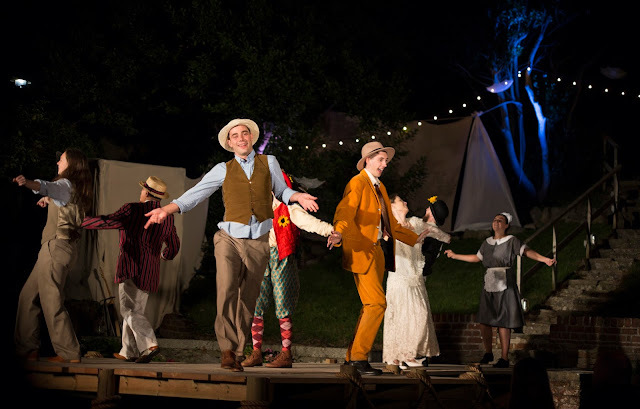 Twelfth Night is one of Shakespeare's most humorous plays and this cast delivered it with quick timing, making it thoroughly enjoyable to watch. Designer, Hannah McArthur, kept things very minimalistic. 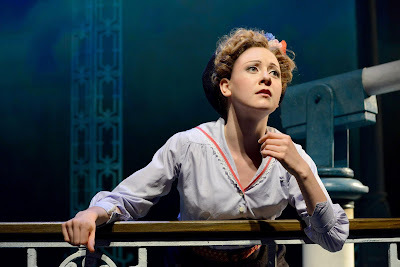 The set is designed to cater for two venues as generally the outdoor space in the Residence One Garden is utilised but the performance is moved to the indoor venue, the Factory Cooperage, in case of wet weather (which it was during Press Night!). There is actually little of a set, with just a simple blank canvas backdrop and use of minimal props including some chairs, a record player and a tree which also reverts into a jail cell door! Though the simplicity of the design really lends itself to the rest of the production, ensuring the focus is on the actors who then utilise their physicality more than anything. Its well thought out and allows the stunning historical surroundings of the Royal William Yard venue to play a part in the production well too. 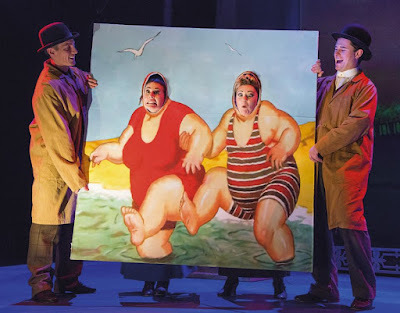 I liked the idea of the use of song and dance, especially as the production boasted a 1920s 'flapper' theme, but the songs with vocals seemed somewhat crowbarred into story, making it seem a bit clumsy and awkward at times. Though I did really enjoy the use of 1920s music and Charleston dance routine at the final bows. The cast of local actors are a credit to the production. They are full of enthusiasm for the piece and this comes across on stage. 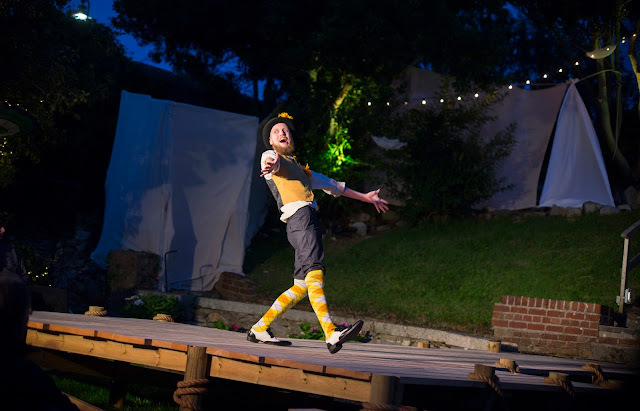 The show bursts with energy and is sure to make any audience member laugh, using the most classic words of Shakespeare himself. 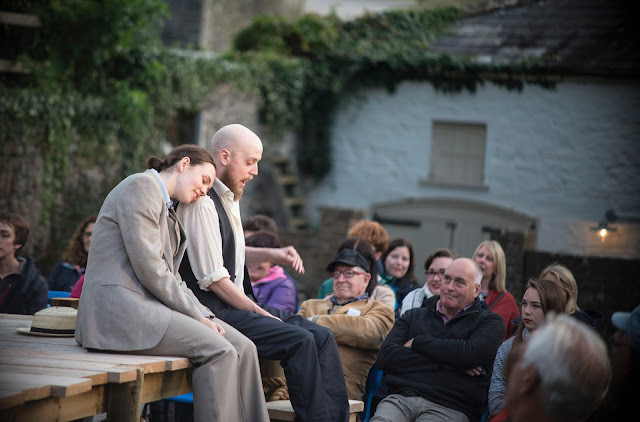 The production has had a fantastic run (despite the sporadic Plymouth weather!) and I am looking forward to what the Barbican Theatre and 'Bard In The Yard' has planned next! Disclaimer: I was kindly invited along to this performance by Barbican Theatre but all thoughts and opinions are my own. I was invited along to review the latest exhibition, Face 2 Face, at Torre Abbey in Torquay. My sister, Flora, and I took a road trip to check it out - just an easy 40/50 minute drive from my home in Plymouth. Face 2 Face impressively presents over 30 pieces of contemporary art from the Arts Council Collection at the Southbank Centre, alongside Torre Abbey's permanent collection featuring pre-raphaelite artists such as William Holman Hunt and William Blake. The exhibition explores 'the art of the selfie', presenting how portraits have evolved over time 'from paint to pixels'. It's a really interesting concept and one that I think will resonate with such a wide range of audiences who are constantly exposed to this technological era of an "Instagram Life". It's fascinating to see how old masters and contemporary art actually holds similar traits and meanings, yet hundreds of years apart. The exhibition is held across 3 floors of the museum, where the contemporary art is immersed within the permanent Torre Abbey collections in the galleries. A lot of art galleries and exhibitions will generally present contemporary art or pre-raphaelite art separately, rather than side by side, which I think actually creates a better way of comparison - which is the whole concept of the show. One of my favourite moments of the exhibition was on the staircase leading from the top floor which showcased some gorgeous work - 'The Red Cap - Portrait of a Young Lady' by William Strange (1920) and 'The Children's Holiday' by William Holman Hunt - versus the contemporary work of Marc Quinn's 'Template for my Future Plastic Surgery' and Steve Johnston's 'Punk Portraits'. The portraits, although visually completely different, focus on the human face, its emotion and the ability to change what you look like - whether that be by painting in a perfected colourised light or through the punk disguise and plastic surgery. I noticed this theme of "perfection" is carried right through the exhibition, making the concept of filters and photoshop that we, as a contemporary audience use, something to strongly empathise with. Its something that people have striven for over centuries and art portrays this through a variety of mediums across time. I also loved Bettina Von Zwehl's 'Profiles 111' of intensely high definition portrait photographs of babies. This contrasted against the perfectionism shown in the work on the staircase as it gives an insight to reality showing imperfections such as the baby's dribble and earwax. It is chillingly evocative and again, makes a great contrast between the various portraits. Sarah Lucas' self portraits (1990-98) reminded me of Instagram culture through her nonchalant, candid shots and her humorous titles which are reminiscent of modern day Instagram posts. David Hockney's 'Gregory' (1974) etching conveys a similar informal style which can be recognised as an internet trend similarly to Lucas' self portraits. I really enjoy the simplicity of the contemporary work, such as Hockney's use of just two colours and the blank canvas of Von Zwehl's portraits. Its a completely different style to the older pieces which juxtaposes the work nicely. Alongside the professional work, the exhibition showcased art from local schools and colleges. They focused on the topic of identity and produced a fantastic assortment of work, from a thumb painting of Ed Sheeran to pop-art style vegetables. It was completely refreshing to see really high quality work from young creative minds. It didn't seem out of place from the rest of the professional art of the Face 2 Face exhibition. Overall, we really enjoyed the Face 2 Face exhibition at Torre Abbey. It's a remarkable collection of art from across eras which collate to form interesting contrasts and comparisons, focusing on a subject that is so prevalent in our modern day. It runs at Torre Abbey, Torquay until the 3rd September. The museum makes a great day out, with not only the art exhibitions but historical displays, interactive activities, stunning gardens and yummy tea rooms too! I thoroughly enjoyed our time there and I'm really looking forward to visiting again to check out their other creative programmes in the future including the open-air cinema, theatre and workshops. Big thanks to Torre Abbey for having us! Disclaimer: This post was sponsored by the cultural creative agency, Wonder Associates, but all thoughts and opinions are my own. Last year, I was delighted to be involved with TheatreCraft (see my blog post here) as I acted as their Social Media Editor. It has been announced that Theatrecraft, London’s largest, free careers event for young people seeking an off-stage career in theatre, returns to the Waldorf Hilton Hotel on Friday 3rd November. The report found that the education sector is channelling young people away from off-stage careers, labelling theatre as a ‘high risk option’ and offering a notable lack of guidance around training routes into the industry. This is something I can personally resonate with, as I was at an all-girls grammar school who completely focused on the sciences and Russell Group universities- I found it difficult to gain support of the school to decide on my career in the theatre as it was deemed "risky". The report went on to identify TheareCraft as an important response to these issues, having actively championed the vibrant array of careers in the sector for fourteen years. I'm a huge supporter of this event. 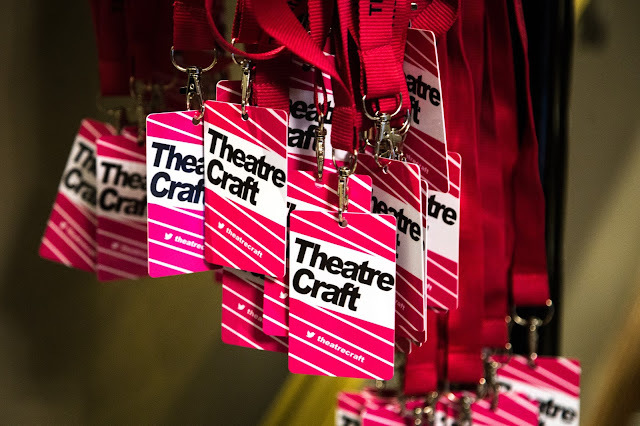 As a young person trying to get a career off-stage in the theatre industry, TheatreCraft provides a completely unique experience which can help set the foundations for your successful journey. Its such an enjoyable and useful experience. Disclaimer: Photos by Rory Ohlmeier. I have worked closely with Theatre Royal Haymarket Masterclass and TheatreCraft but all thoughts and opinions are my own. 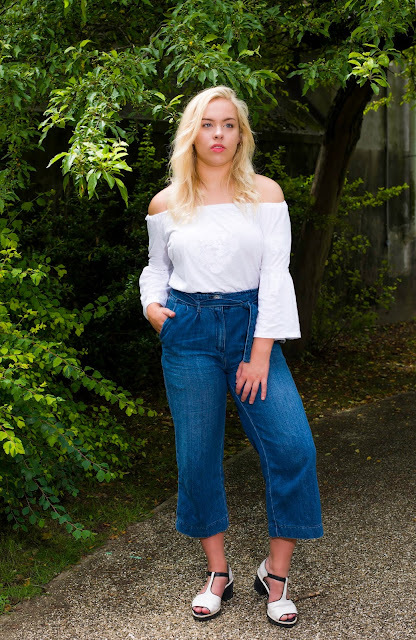 This outfit mixes some of my favourite trends for this season: off-the-shoulder, bell sleeves, embroidery, denim and wide leg! 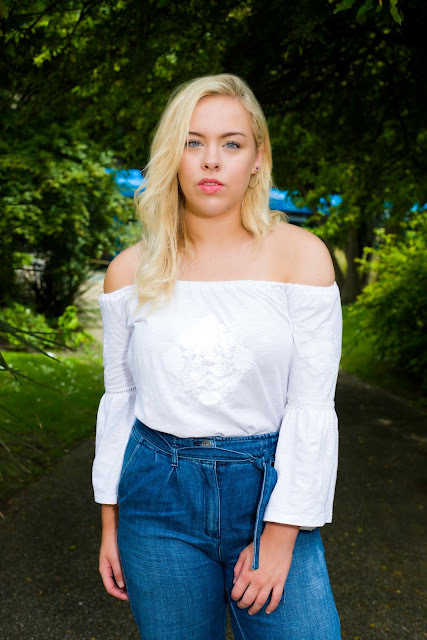 Believe it or not, this beautiful white cotton embroidered top is from Primark! I've paired it with these denim wide leg trousers from Next and my trusty Clarks block heel shoes. I love a dewy, natural makeup finish for the Summer and I think it suits this outfit perfectly. As always, I love a pop of bright colour! 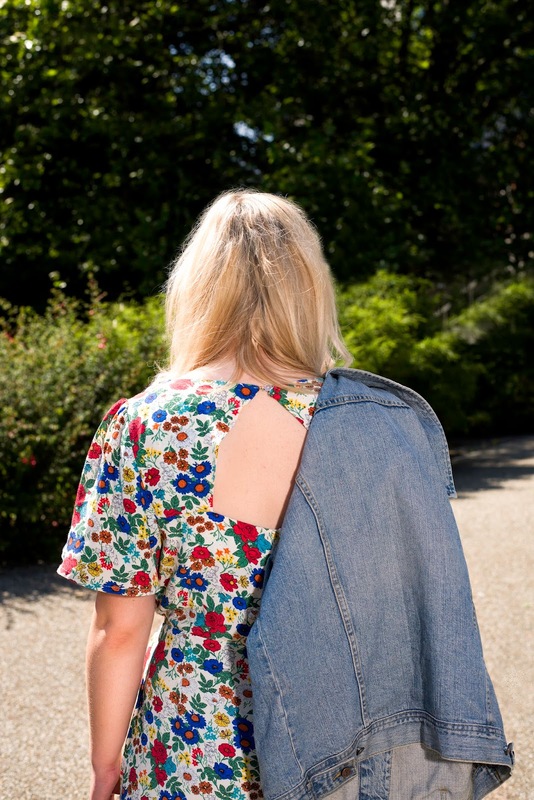 This fun floral playsuit from New Look is my go-to outfit this season. Pair it with white converse like I have here for a casual, day-time look or nicer heels/ sandals to dress it up for evenings. 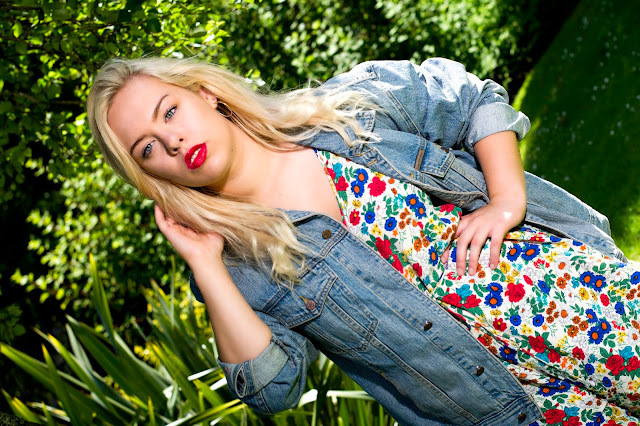 I am wearing it with my vintage Calvin Klein oversized denim jacket which I found for such a bargain on Depop! I pretty much live in jeans so I've been on the hunt for an alternative to switch it up a bit... I found these gorgeous striped trousers from Bershka. 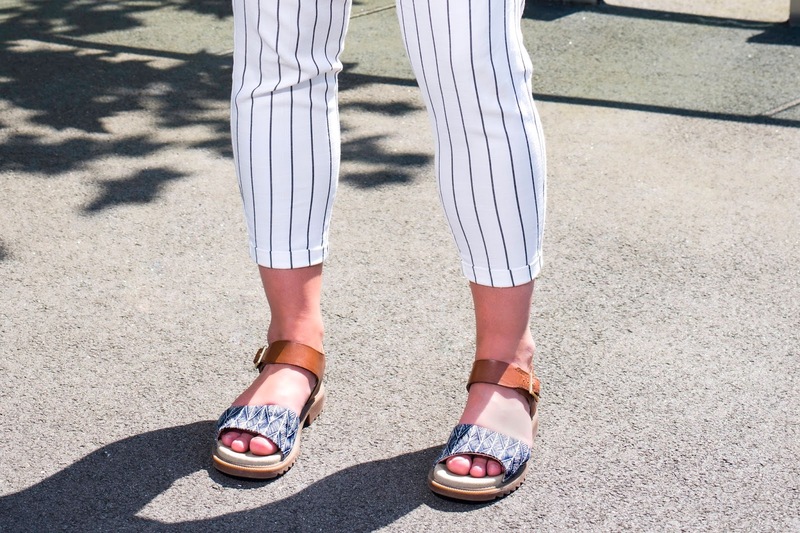 They're super flattering and I love the nautical vibe they give off! I've paired it with this navy blue bodysuit from Boohoo and my favourite new sandals from Clarks. I had lots of fun on this shoot with Charlie- thank you!